Owen Stevenson is unknowingly paying for the sins of his father. He doesn’t understand why Zoë can’t look at him for more than a few seconds or why his touch is unsettling at times. 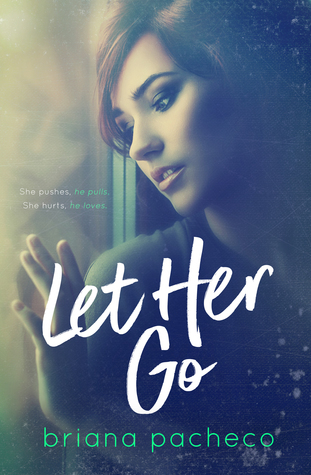 All he’s ever wanted was to love her, to protect her, and to be hers, but it’s not so easy. Both are holding onto ghosts of their pasts and in order for them to peruse a relationship they’ll have to let them go. I have mixed feelings about this one. It was an enjoyable book but I didn’t love it. This author definitely has potential and I would buy more of her books, but this one isn’t a favorite for me. It’s a friends-to-lovers romance (which is the best kind, in my opinion.) Zoe and Owen have known each other since they were in kindergarten and Owen has loved Zoe his whole life. His love for her was borderline creepy at times. He was weirdly obsessed with her but if I’m being honest, I have no idea why. Zoe didn’t stick out as a favorite female lead for me. I was frustrated with her at times, but I didn’t dislike her. Same with Owen. I didn’t love him, I didn’t hate him. They were just okay. Something happens in Zoe’s past and I don’t want to spoil anything, but he ends up getting colored contacts to hide his green eyes since they trigger bad memories for Zoe. It was a sweet gesture but I found it a little strange. If you think someone is going to slap you for kissing them, you probably shouldn’t be kissing them. This story had its swoon-worthy moments and it was a cute read, I just wasn’t dying to pick it back up every time I had to put it down. Like I said, I do think this author has a lot of potential and I’m excited to see her grow as a writer. Briana Pacheco is the author of New Adult novels (DON’T LET ME FALL, SOUNDS OF YESTERDAY, A SKY FULL OF SECRETS, and LET HER GO), a twin, a dreamer, a tattoo lover, easily swooned by accents, and a little bit of an extrovert but a whole lot of introvert.